Florida-based poker pro Bradley Ruben has been arrested following a deadly hit-and-run accident on I-95 in Broward County, an incident which also included Ruben admitting to having consumed a marijuana-laced edible. The accident occurred at about 1 am on Wednesday, May 16. Ruben, 32, was arrested following a brief foot chase following an accident involving his car and a parked tow truck that was responding to an earlier accident on the interstate highway, just outside Fort Lauderdale. According to local news reports, Ruben’s vehicle collided with a disabled car being loaded onto a tow truck. The crash sent the disabled car to the shoulder, striking and killing 62-year-old Juan Pedro Garcia, the husband of the disabled car’s driver. Ruben then fled the scene on foot, according to a local CBS affiliate report, and was arrested about a quarter of a mile away. Testimony from Ruben’s initial court appearance on Thursday, May 17 differed as to whether Ruben walked or ran from the accident scene. Ruben was charged with two crimes, failing to stop at an accident involving death and resisting an officer, the result of the quarter-mile jaunt down the highway following the crash. Prosecutors allege Ruben ran from the immediate scene following the accident, though Ruben’s defense counsel disagreed, claiming the arrest report showed Ruben was sitting on a guard rail when police approached and surrendered without further incident. Prosecutors also brought up Ruben’s poker-playing career in their arguments for higher bail, saying that Ruben was a “man of means” and posed a potential flight risk. Bail was set at $100,000, and reports indicated he posted that bail and was released later on Thursday. Ruben appeared in court with bandages on his face, covering cuts and bruises received in the accident. 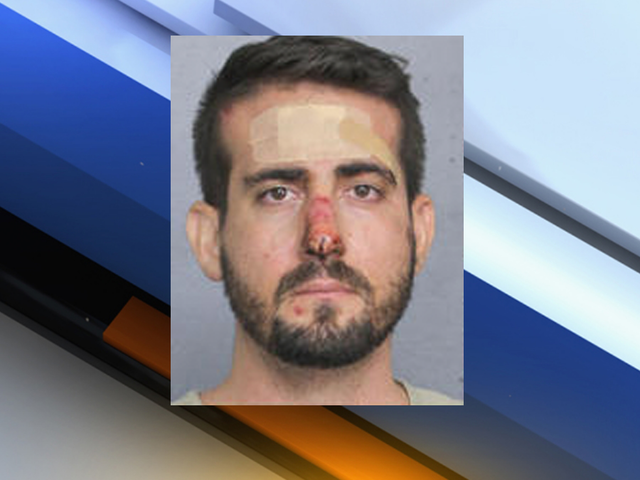 He had been transported to a Broward County hospital following his arrest, briefly receiving treatment for his relatively minor injuries, before being transferred into custody. The full extent of Ruben’s poker winnings is not publicly known, but prosecutors cited his publicly available tourney winnings in their arguments at Thursday’s initial hearing. Ruben’s Hendon Mob listing shows over $368,000 in winnings, including a third-place finish in a $1,500 razz event at the WSOP last July. Ruben’s cash of nearly $56,000 in that event is officially the largest of his tournament career.